No matter what the season, having a one-pot recipe is both a time and energy saver. This slow cooker recipe definitely fulfills both of those promises and requires almost no preparation whatsoever, so you can quickly pull together a hearty dinner featuring protein and vegetables. The key to making this one-pot meal work is choosing hearty, flavorful sausage. Feel free to experiment with different types of pre-cooked sausage. 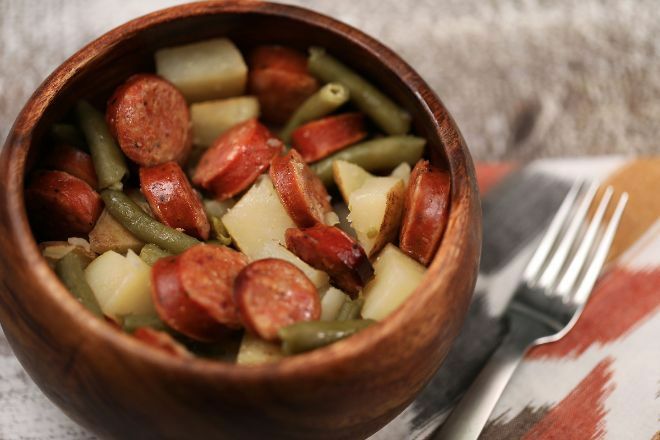 Turkey kielbasa makes an excellent substitute if your family is looking to cut back on calories, plus, it's delicious! 1. 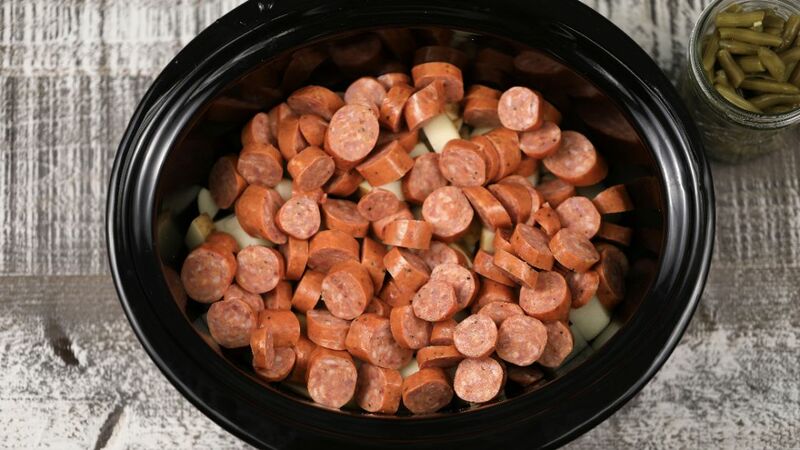 Place potatoes, sausage, and green beans into a 6-quart slow cooker. Sprinkle seasoned salt all over, then pour in the chicken broth. 2. Cover and cook on low 8 hours. Pro tip: Feel free to add diced onion and red pepper flakes if you want to give the dish a little extra kick. You can also prepare this without the sausage if you like and serve it as a side dish instead. This easy potato dish is so good you'll want it for breakfast, lunch and dinner.